Elmers CraftBond High Temp Mini Glue Gun is a quality tool that provides you with a safer way of gluing! Added safety features include: insulated nozzle for safeguard against burns, safety fuse that shuts the gun off in an event of a short, and built-in side lifts allow for tool to rest safely on its side, preventing glue backup. High temperature glue gun is for bonding materials such as metals, plastics, wood, leather, paper and ceramic. The ergonomic design ensures comfort while gluing and the durable flip-down stand provides stability while not in use. The Arrow<sup></sup> HT55 Hammer Tacker is built with a sleek and trim profile for those hard to reach jobs. Whether insulation, housewrap or vapor barrier, this light-weight tool is perfect for jobs requiring a balance of speed and precision...No matter the condition of the job, this tool can stand up to the rigors on-site with its steel construction and oversized, rubber, anti-slip grip. Swing away! The TacMate Stapler is a contemporary, well-built tool designed for today's demanding millennial consumers. The lightweight molded housing, soft grip surfaces, and metal internal components deliver a durable and powerful tool in a surprisingly friendly, easy to use design. A non-marring rubber tip keeps projects dent and scratch free. Staples load with the push of a button and a staple viewing window indicates when staples are running low. Mini Size High Temp. 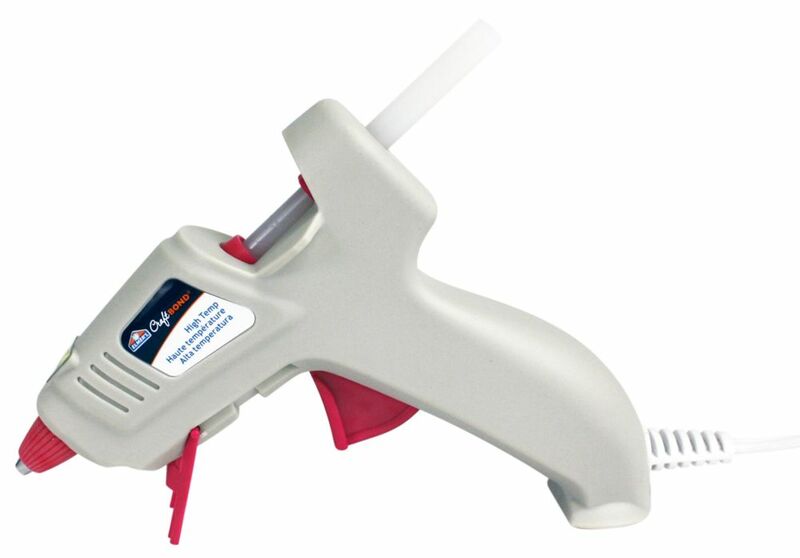 Glue Gun - 20W Elmers CraftBond High Temp Mini Glue Gun is a quality tool that provides you with a safer way of gluing! Added safety features include: insulated nozzle for safeguard against burns, safety fuse that shuts the gun off in an event of a short, and built-in side lifts allow for tool to rest safely on its side, preventing glue backup. High temperature glue gun is for bonding materials such as metals, plastics, wood, leather, paper and ceramic. The ergonomic design ensures comfort while gluing and the durable flip-down stand provides stability while not in use.